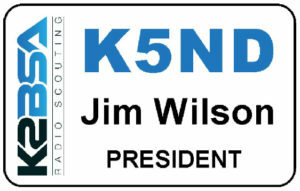 Rick, NV5A, at The Sign Man, has K2BSA name tags available. There are member and club officer options. Here's the link – K2BSA Name Badge or click on the image below.